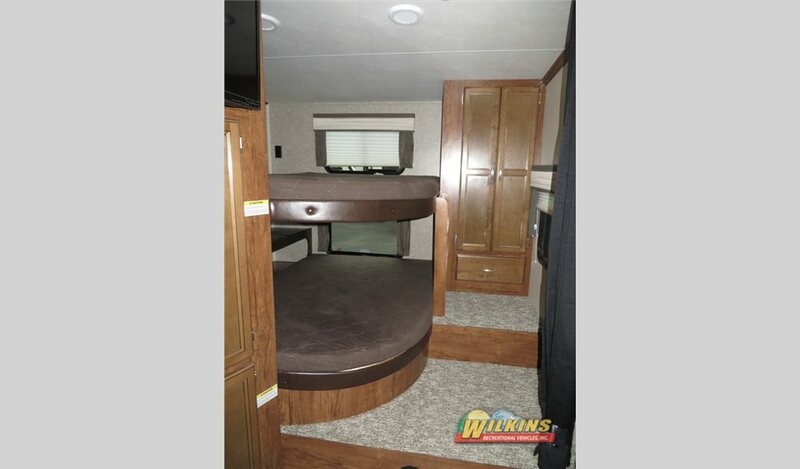 In recent years, there has been a surge in popularity of bunkhouse fifth wheel floorplans. There is a good reason for that. Bunkhouse floorplans maximizes sleeping and living space to accommodate families and large groups of travelers. Plus, fifth wheels tend to be easier to tow than long travel trailers because the 5th wheel gooseneck cuts down on the overall length of the trailer. With a bunkhouse fifth wheel, you can invite friends and family along for the trip. The more the merrier! 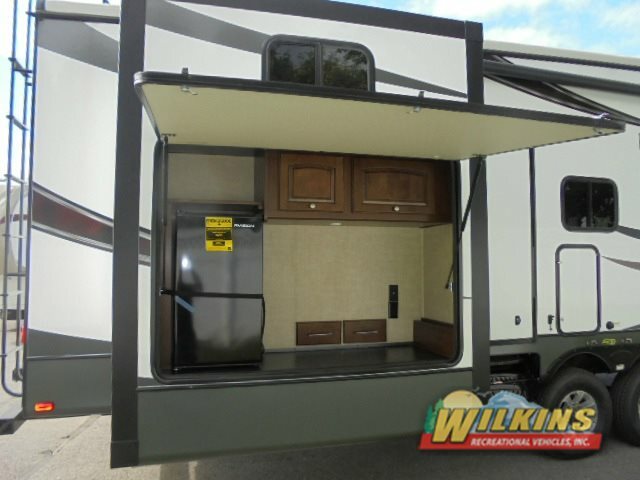 Here at Wilkins RV, we have many fifth wheel bunkhouse RVs to choose from. 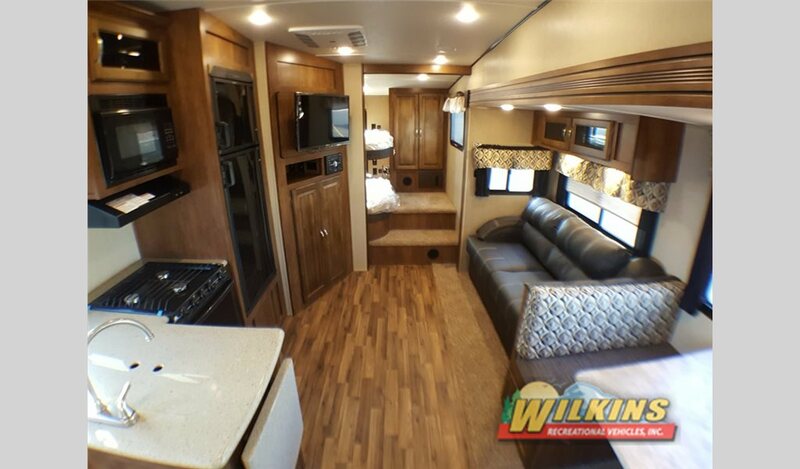 With a large selection of brands and floorplans available to for a wide range of travel needs, you are sure to find the right RV for you and your family. From lightweight to luxury, bunkhouse fifth wheels come in a variety of weights and price points. 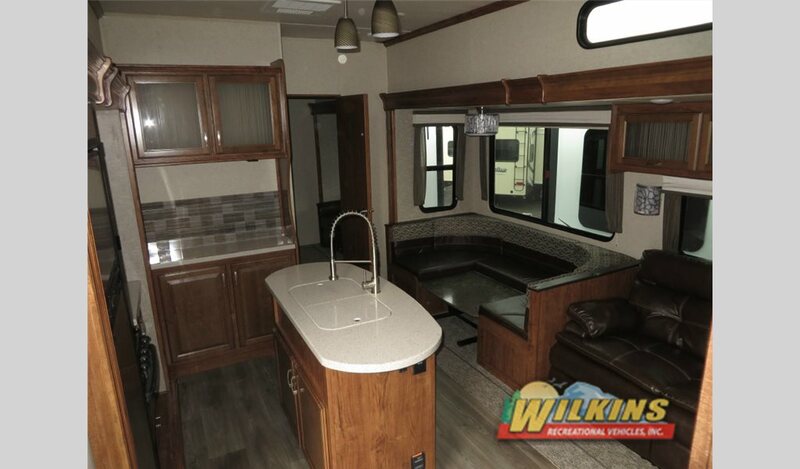 Lightweight options include models such as Coachmen Chaparral Lite 295BHS Fifth Wheel which can sleep up to 8 and includes a pull out outdoor kitchen or the Coachmen Chaparral Lite 29BHS Fifth Wheel which features a separate quad bunkhouse area and three slide out rooms. Another lightweight bunkhouse fifth wheel option is the unique Forest River Flagstaff Super Lite 8528BHWS Fifth Wheel. 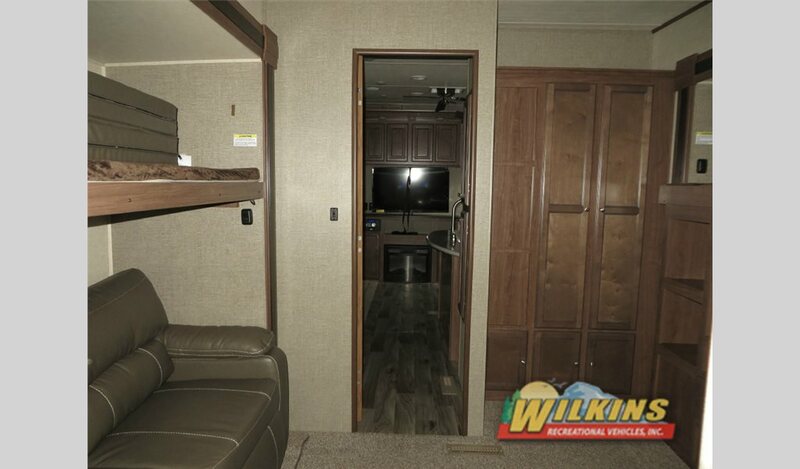 With the bunk beds in a separate room on the side of the coach, there is room for a second bathroom. Check out he Grand Design Reflection 30BH Fifth Wheel. 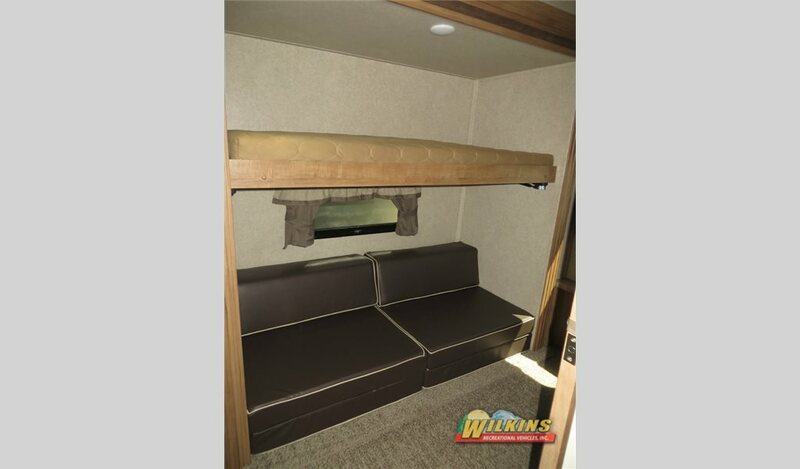 The unique rear slide out room featured in this model provides extra sleeping space while maintaining plenty of room for a large living area. The Heartland Sundance XLT 295BH Fifth Wheel is another lightweight model that will sleep up to 8, has an outdoor kitchen and is available at an amazingly affordable price point. For a step up in luxury and amenities, we have a large selection of bunkhouse fifth wheels to meet high end needs, as well. Heartland RV has long been a leader in fifth wheel design. Their bunkhouse models are no exception. 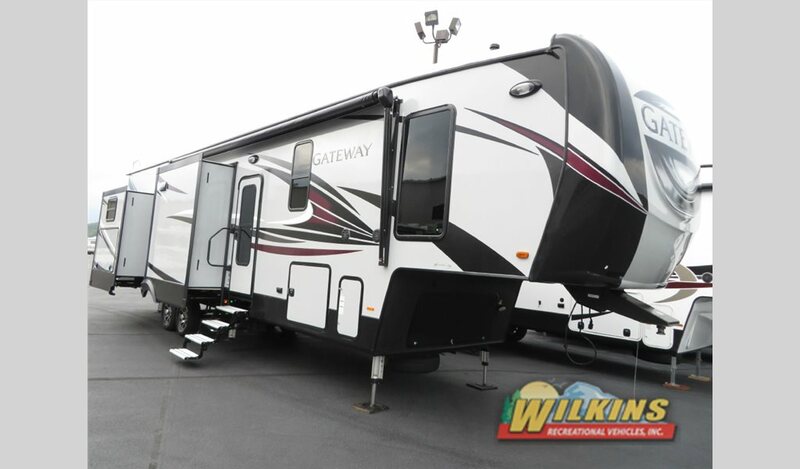 From the Heartland Oakmont 375QB Fifth Wheel or Heartland Elkridge 38RSRT Fifth Wheel, to the Heartland Elkridge 3800RLB Fifth Wheel or Heartland Sundance 3700RLB Fifth Wheel all with 4-5 slide outs, an outdoor kitchen and a second bathroom. Luxury upscale amenities can be found inside and out in all of these popular RV brands. 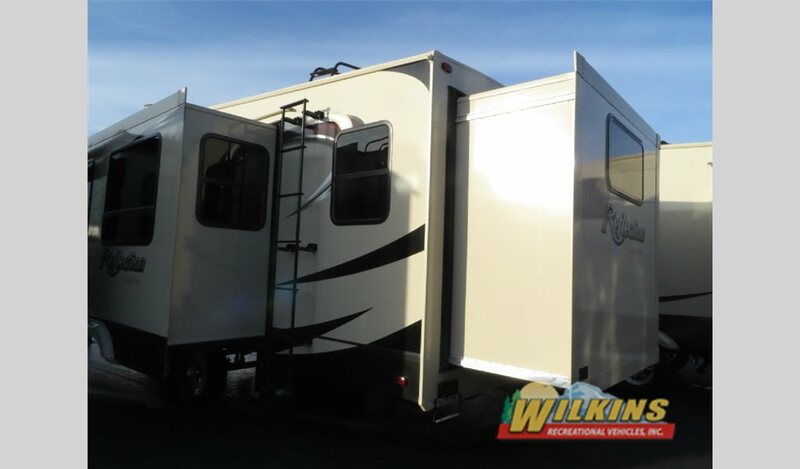 To take a tour of the various Bunkhouse Fifth Wheel RV Brands and Models that are currently available at Wilkins RV, Contact Us. Bring the family!